After a lot of hard work, McGinley Support Services’ community project is now complete and we are here to tell you all about it! 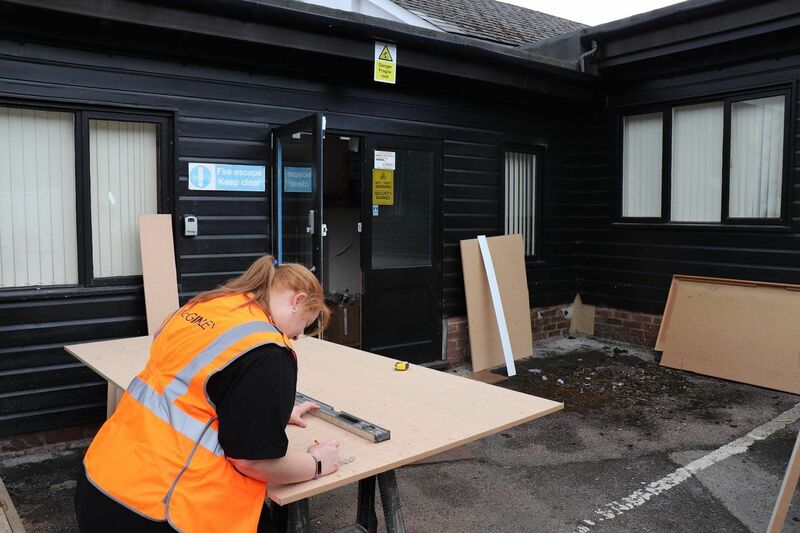 While we at McGinley spend much of time recruiting for the infrastructure industry, undertaking engineering projects, and securing top rail sector jobs for the UK’s brightest talent, we also do our part in giving back to the community. Using our knowledge, experience, and expertise in the construction industry, we believe we have done just that. Entitled ‘Mission Bookworm’, we have undertaken an extensive renovation at a local school, creating a new learning space for students to enjoy for many years to come. McGinley is immensely proud to have been able to support the wonderful community at Park Street C of E Primary and Nursery School in St Albans, working with them to bring about a full renovation of their library. Operating in tandem, a team of passionate McGinley volunteers, a contractor, and the brilliant school staff (and even some younger volunteers!) set about creating a vibrant and welcoming new learning environment available to the entire student body, including a dedicated technology area focused on encouraging students to participate in STEM learning using new IPads and software provided by McGinley. Who knows, perhaps some of the next generation's brightest minds in engineering will emerge from Park Street! 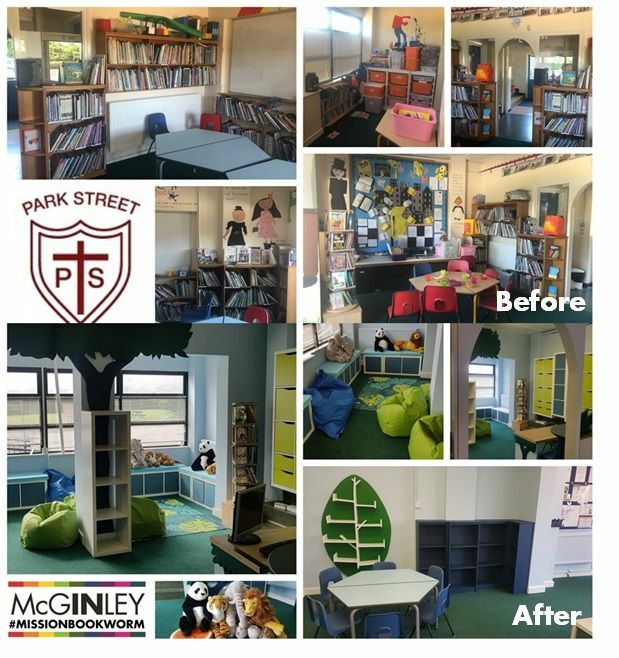 Taking just 10 days to complete, and providing day-by-day updates before revealing the project to the world, Team McGinley dedicated themselves to do the best job possible for the children and staff at Park Street. From sanding the walls to painting and building custom fixtures, a lot of work was done in a short amount of time, and the results speak for themselves. You can see images of the library throughout this article. The team also made sure not to be wasteful during the renovation. Instead of discarding the library’s old fixtures and fittings, they were repurposed and made into a brand-new trophy cabinet and shelving unit. Waste not, want not! It’s clear that everyone’s hard work really paid off, with both the school and McGinley being tremendously pleased with the results. Hopefully, this new educational space will help inspire students long into the future! We understand the immense importance attached to education and as such, we are honoured to have been able to create and complete this wonderful community project. From our point of view, the project was a big success but what does the school think? 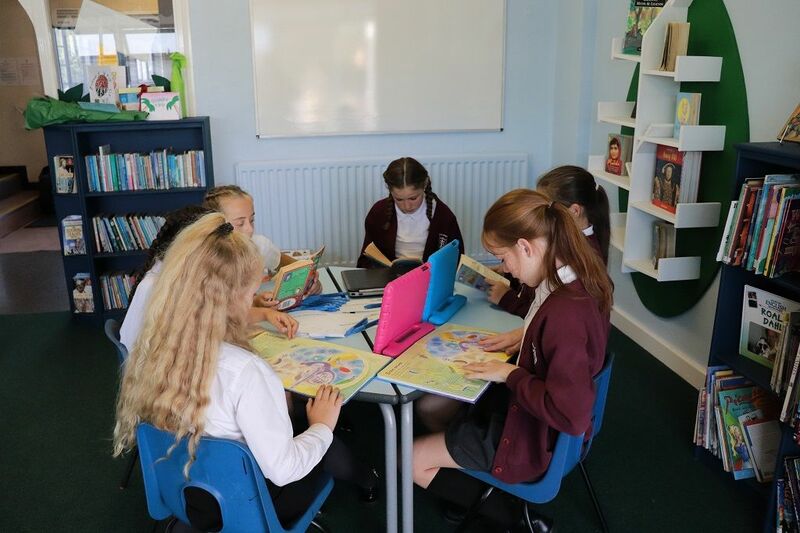 After the work had been completed, we spoke with Wendy-May Foster, headteacher of Park Street C of E Primary and Nursery School to get her thoughts on Mission Bookworm. What were your expectations for the renovation project before it began? What was the school hoping would result from the revamped space? How have the kids reacted to seeing the new space? Has the completed renovation of Park Street’s library met the school’s hopes? Before we leave you, we wanted to express our thanks once again to our volunteers, contractor, the community, and, of course, Park Street C of E Primary and Nursery School. We hope that the space will prove to be a great tool and resource for the students in the coming year and beyond. 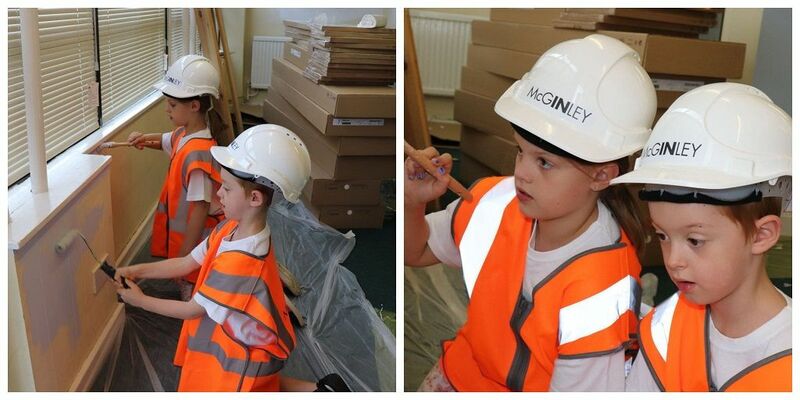 McGinley isn’t just a recruitment company or player in the construction industry, we really care about the community that we are a part of and hope to take part in projects such as Mission Bookworm many more times in the future.